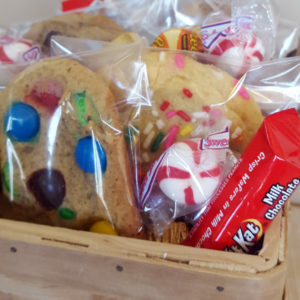 Receive an assortment from the classic line of cookies and jumbo fudge brownies. 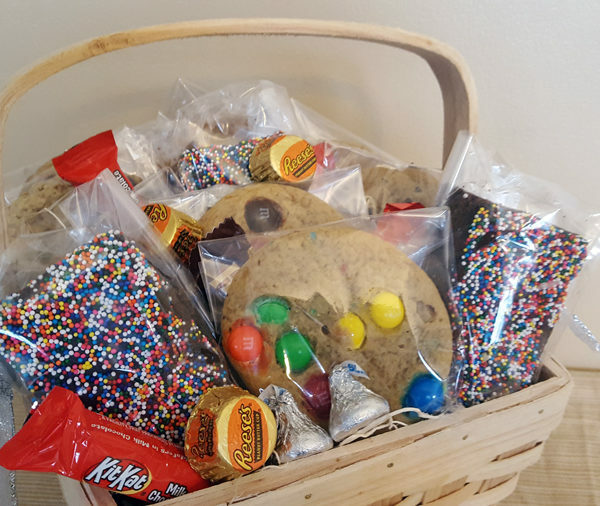 Choose from Chocolate Chunk, Peanut Butter, White Chocolate Macadamia Nut, Oatmeal Raisin, M&M, and Sugar Cookies with sprinkles. Also seasonal varieties available. 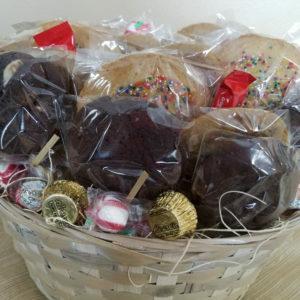 Cookies and Brownies individually wrapped and arranged in either a gift basket or gift box. All topped with assorted chocolates, hard candy, hand tied bow, tissue paper and personalized enclosure card. 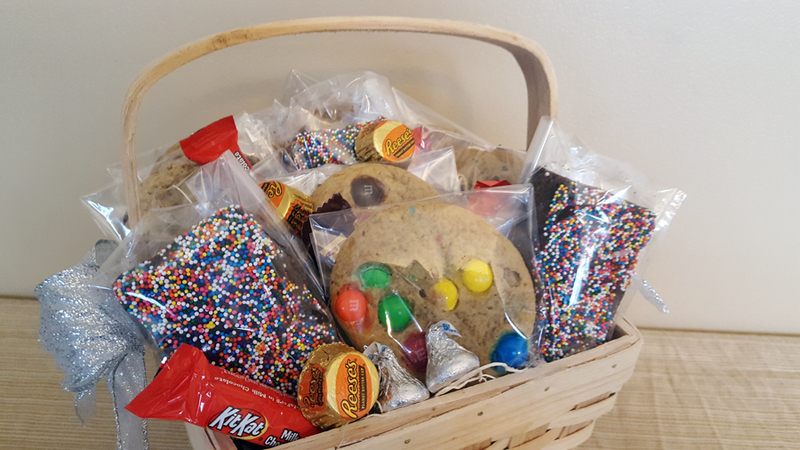 Chocolate dip any cookie for an additional .50 cents per cookie. 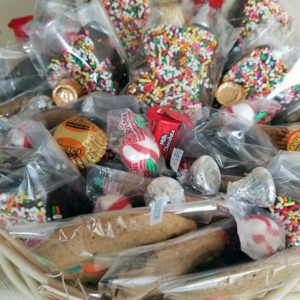 Add on to any arrangement royal iced decorated cookies, gourmet coffee, tea, hot chocolate, gourmet smores, chocolate covered pretzels, marshmallow truffles, trail mix, beer bread, tastefully simple dips, and much more. 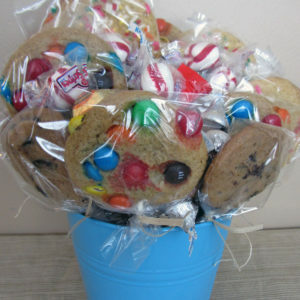 Perfect for any occasion or use as a table centerpiece. Sure to be the hit of the party.